There’s no doubt about it: first impressions count for a lot in this world, and this is true in our personal lives as much as in the realm of business. Coming up with innovative, exciting and dynamic launch party ideas is arguably the very best way to make a lasting first impression on your target audience. These launch events allow you to lay down your manifesto from the very first moment, shout from the rooftops exactly who you are, what you do, and where you’re going… and there have been dozens of amazing examples - in the past decade alone - of launch party ideas which have helped rocket new businesses into the stratosphere. 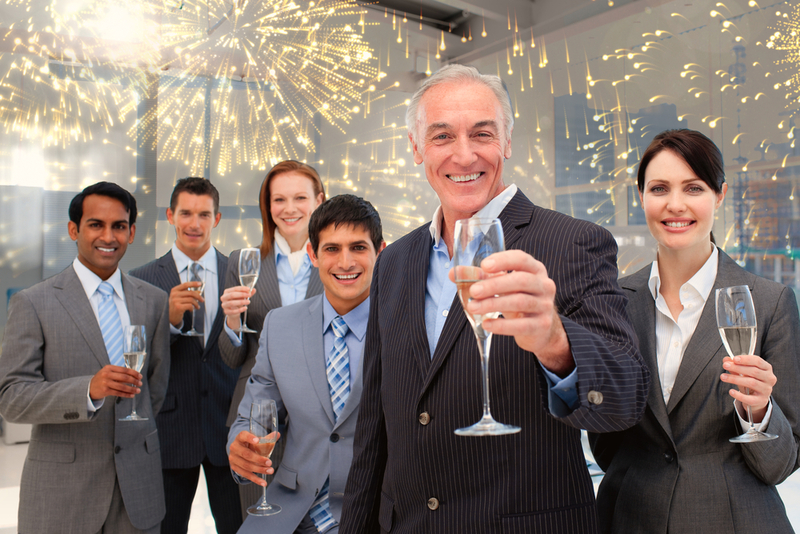 Here at Mask, we’re always on the lookout for new business launch party ideas for us to pass onto our clientele. We’ve made the rounds, scoured the scene, and have come up with seven great concepts for your next launch party. Ready to make a splash? Read on to find out more! One of the most effective business launch party ideas we’ve seen for kicking off a new company has been to arrange an event; one which requires the selected invited crowd to sign up to a product or service in order to bid for the chance to gain entry. This has been particularly effective on the dating app scene (an explosive new market if there ever was one) with companies like Tinder and The League achieving this to great effect. ​This launch party idea creates an exclusive buzz around the company, and relies on the effective reach of social media influencers, movers and shakers, and the kinds of people who can help the business spread organically. Few launch parties end up becoming genuine newsworthy items, but Tesla and Apple’s regular product launches manage to do just that, and in fantastic style. By creating a ‘keynote’ event - almost a conference-type atmosphere crossed with a press event - such businesses can rely on genuine excitement and anticipation, with a dramatic unveiling of the product in question as the highlight. This concept for a launch party works by convincing the public that the launch itself is an important event of great gravitas - something with potential to transform the market completely. If your product or service is by its very nature something which lends itself nicely to parties or events (think new speakers, multimedia tools and equipment, or social media apps designed to bring people together), then why not utilise the product in its natural setting? 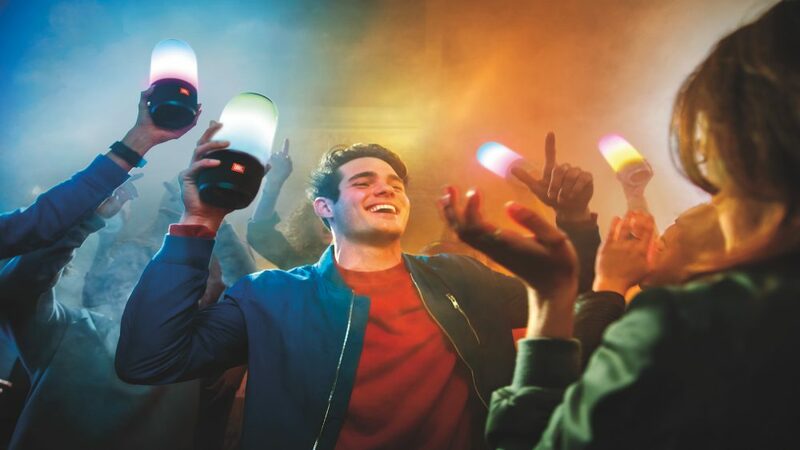 We saw this business launch party idea used to great effect at the JBL Pulse 2 release - the bluetooth speakers being promoted were central to the entertainment of the event, which was further heightened with performances and an all-out rave! When you utilize the product being promoted or launched at an event, you can demonstrate - in a real, organic setting - the effectiveness of the product itself. Creating a powerful first impression in this way is sure to make a massive impact! Fitness apps and devices have got this type of launch party idea down to a fine art. 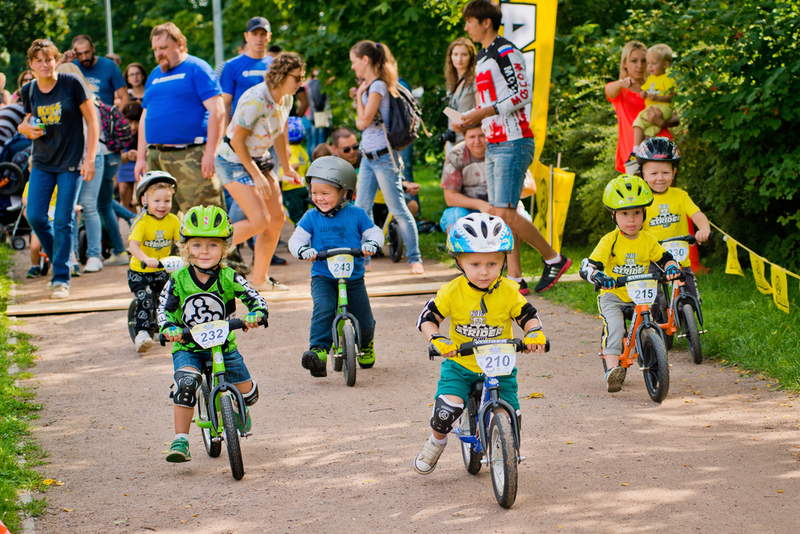 Instead of holding a traditional event or party, you go all-out and host an endurance race, a marathon, a sporting tournament or similar. Not only does this give you a great opportunity to promote your latest product or new service, it also has the potential to become a genuine calendar event, something which people return to year after year. Fitbit are the undisputed champions of this, with marathons and similar events now taking place in world capitals across the globe, often attracting high-profile celebrity competitors willing to get involved with the brand. These events offer amazing sponsorship and product visibility opportunities, and gain plenty of media interest, too. Parent-oriented forums, blogs, Instagram accounts and social media movements are massive nowadays, thanks to Generation Y settling down and having children, thus transforming the shape of a whole range of markets. If you want to tap into this massive resource of media-savvy moms and dads, then making your product launch party a child-friendly affair is going to win you some instant points that could be a struggle to get otherwise. Working parents are always on the lookout for interesting, unique one-off events to take their kids to (they are few and far between, after all), and we’ve seen massively successful launch parties follow this model… even if the business launch in question isn’t necessarily something that involves children! The parent market has changed considerably over the last decade, and to tap into this has the potential to get your business into an ever-growing customer base. Not all new products and services are necessarily ‘exciting’ in the traditional sense of the word, but that doesn’t mean you can heighten the drama of them by coming up with an innovative launch campaign and event. In fact, some of the coolest and most out-of-the-box business launch party ideas we’ve seen have come out of services or industries which wouldn’t necessarily be classed as particularly stylish, intriguing or on-trend. Take the Goodyear All Season Tyre launch; they employed an artist for their event whose task it was to redesign everyday objects, and make them suitable for use all throughout the year and in several weather conditions. The launch saw rainy day barbecues, skateboards with attached blow torches (for melting snow, of course), and cocktail glasses than doubled as snow scrapers. Nice! Thinking outside the box is never a bad idea when it comes to launch party ideas, and this is especially the case when you’re working with a product or service which doesn’t necessarily immediately capture the public’s attention or enthusiasm. If you’re planning a business launch in a new country or territory, then you’ll have to think carefully about how to chime your ideas with the culture you’re entering. There are countless ways of achieving this, and it’s important to take care not to appear patronizing or naive in doing so. 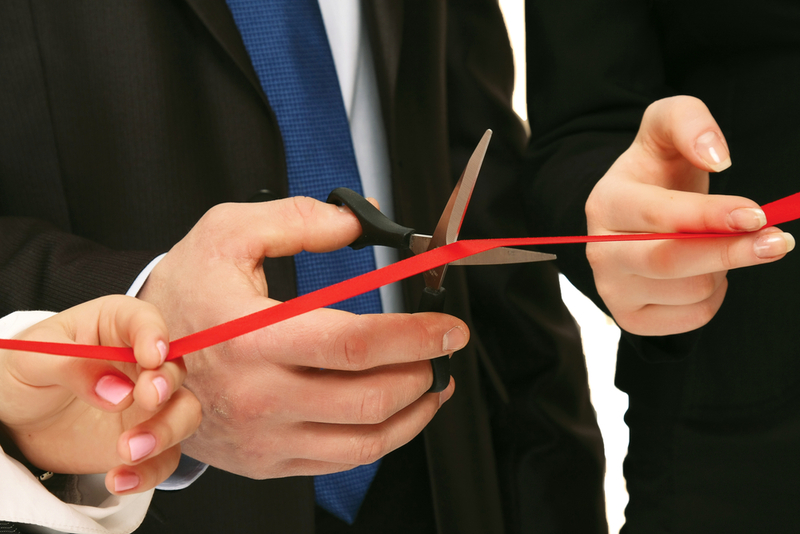 However, with the correct approach, adopting cultural aspects into your launch can be enormously effective. Google managed this perfectly when they launched Chrome in Thailand, using local legends as the springboard for an interactive demonstration of their service - something which made a deep connection with the public they were trying to impress. This business launch idea is perfect if you are looking to make a lasting impression with people, and show that you’re in tune with the unique nature of their culture. creativity and innovation is key! As we’ve seen from the above examples, business launch parties have an enormous amount of scope when it comes to creativity, and the more unusual or innovative your idea, the more impactful your launch can be. Here at Mask, we’re obsessed with perfecting all manner of events, and helping our clients create memorable occasions which have the ability to help their businesses rise above and beyond their competitors. That’s how Mask have become an industry leader, and it’s what continues to drive our services forwards.